Popular Expressions - origins and explanations - Page 2 - Skeptics Forum. To evade blame or responsibility and shift all criticism elsewhere. An American phrase from the game of poker, the 'buck' being the token object that is passed to the person whose turn it is to deal the next hand. Originally, the token was a buckhorn knife, so called because its handle was made from the horn of a buck, or male deer (although some sources argue that the buck was either a piece of buckshot or a buck's tail, which early hunters carried as a talisman). The earliest recorded use of the phrase is by Mark Twain (1835-1910) in 1872, in the first decade after the end of the American Civil War (1861-65), when poker or 'stud poker' - the stake was probably orignally a stud horse - were played in bars by lumberjacks, miners and hunters,those being the days before it became known as a 'gentleman's' game. A declaration meaning 'this is where ultimate responsibility lies'. The most likely origin for the phrase is the poker table, where a buckhorn knife was placed before the player whose turn it was to deal. 'Passing the buck' meant passing responsiiblity on to the next player. The phrase was made famous by us President Harry S. Truman (1884-1972); president 1945-53), who had it handwritten on a sign on his desk at the White House to remind himself and those around him that he alone had the ultimate responsibility for every decision of his administration. Some twenty-five years later, President Jimmy Carter (1924-) had the legend reinstated with the same idea in mind. This means to be very happy or in high spirits. It is a traditional expression from the late nineteenth and early twentieth centuries, when sandboys or sandmen drove their donkeys through the streets selling bags of sand taken from beaches. 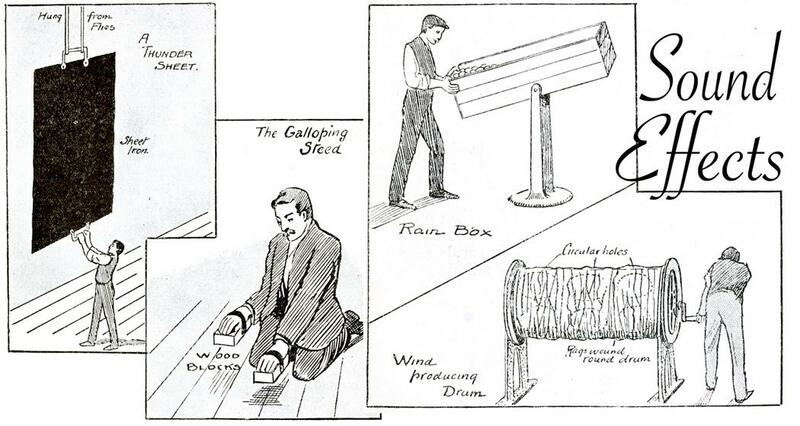 The sand was used by householders for their gardens, by builders, and by publicans for sanding their floors. The merriness of the sandboys was probably due, in some part, to the temptation of spending their takings in the hostelries to which they delivered the sand. To be good enough to pass a test; to make the grade. This is a colloquialism from the boxing ring dating back to the nineteenth century. Under the London Prize Ring Rules introduced in 1839, a round in a prizefight ended when one of the fighters was knocked down. After an interval of thirty seconds, the floored fighter was given eight seconds to make his way, unaided, to a mark scratched in the centre of the ring. If he failed to reach the mark, he had not 'come up to scratch' and was declared the loser of the bout. A question directed at a silent partner in a conversation to ask why they're not speaking. The earliest written example appeared in 1911, according to the Oxford English Dictionary, but it may have been around since the mid nineteenth century. As to its origins, numerous theories abound; none firmly proved. Some argue that it must stem from ancient Middle Eastern punishment techniques, when liars' tongues were ripped out and then fed to kings' cats; while others cite the much-feared whip the 'cat-o'-nine-tails' as the source of the phrase, insinuating that this nasty weapon, used to flog sailors, forced them into silence - both through fear and pain. To adopt someone else's own special methods or ideas as if they were one's own. The story behind the origin of this phrase was recounted by the eighteenth-century actor-manager, playwright annd Poet Laureate Colley Cibber (1671-1757) in his Lives of the Poets (1753), and was also mentioned by Alexander Pope (1688-1744) in his poem The Dunciad (1728). Legend has it that John Dennis (1657-1734), an actor-manager of the early part of the eighteenth century, had invented a machine to make stage thunder, which he employed in his own play, Appius and Virginia, performed at the Drury Lane Theatre in London in 1709. However, Mr Dennis, whatever his inventive talents, was not a particularly gifted playwright; the play did not fill the house and was soon taken off in favour of a production of Macbeth by another company. Since the eighteenth century, the phrase has subsequently been refined to become 'to steal one's thunder'. ...which is the oldest continuously working theatre in the world. This year marks the 250th anniversary of the Bristol Old Vic. Someone needs to tell those folk across the pond to get their facts right before making claims that have not been proven. Which one is the fake news? The Walnut Street Theatre at 825 Walnut Street on the corner of S. 9th Street in the Washington Square West neighborhood of Philadelphia, Pennsylvania, is said to be the oldest continuously operating theatre in the English-speaking world and the oldest in the United States. The theatre was founded in 1809. Incidentally The Curzon (1912), the oldest (continuously operating. purpose built) cinema in the UK is just along the road from here in Clevedon. To begin again, or, less formally, 'Back to where you started, sunshine!' This colloquialism possibly derives from board games like snakes and ladders, in which players, through bad luck or poor judgement, have to move their pieces back to the starting point. Another suggestion is that it comes from the early days of radio football commentaries, when diagrams of the pitch, divided into numbered squares, were printed in radio listings magazines so that listeners could follow the game. The expression's meaning is similar to 'Back to the drawing board', which means to go back and rethink a complete project or scheme. Aircraft designers during the Second World War used this phrase when a concept or even a whole design for a new machine proved unworkaable and had to be started all over again. To be totally off the mark, to waste energy following the wrong course of action, or to have one's attention diverted off the subject in hand. 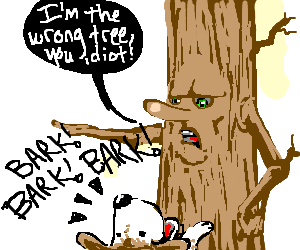 The phrase dates back to the 1800s and neatly puns a dog's bark with tree bark. Its origins stem from the American sport of raccoon hunting. The hounds of the hunting pack are trained to mark the tree in which the raccoon they are pursuing takes shelter, and then to howl at its base until their master arrives to shoot the animal. 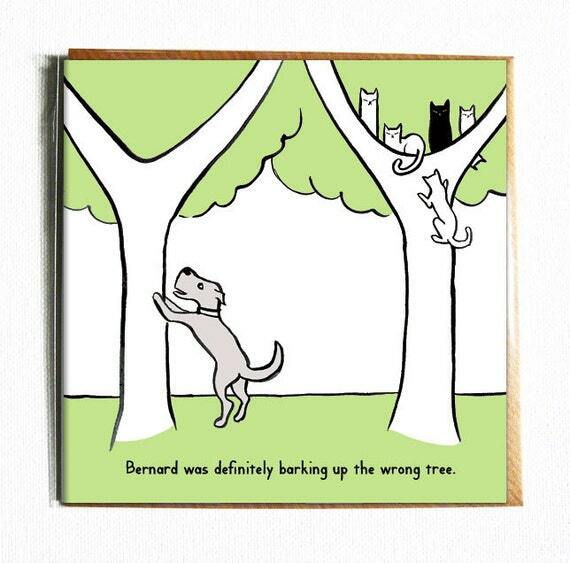 The hounds may bark up at the wrong tree, however, if the raccoon has managed to evade them. The expression first became popular in the early nineteenth century, appearing in the works of James Hall (1793-1868), Davy Cockett (1786-1836) - himself a great raccoon hunter - and Albert Pike (1809-91). A popular term used of someone who speaks in persuasive or seductive terms; the verb 'to blarney' meaning to employ persuasive flattery, and the noun 'blarney' for 'flattering talk' have the same derivation. The provenance for this expression can be found, literally, at Blarney Castle, near Cork, in south-west Ireland. Set high in the south wall of the castle is an almost inaccessible triangular stone bearing the inscription, Cormac McCarthy fortis me fieri fecit. 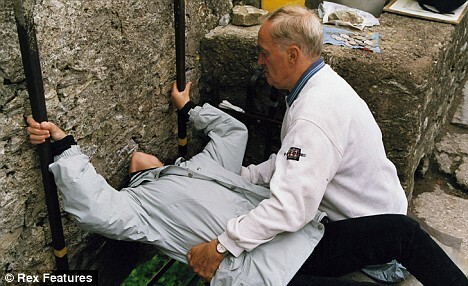 The tradition of kissing this Blarney Stone to improve one's eloquence and persuasive abilities - which can only be done by hanging, with one's feet securely held, head-down from the castle's battlements - dates from the eighteenth century. The story behind the Blarney Stone's legacy is that in 1602, McCarthy, Lord of Blarney, was defending the castle against the English, who were fighting to force him to surrender the fortress and transfer his allegiance to the English crown. However, McCarthy smooth-talked the British emissary, Sir George Carew (1565-1612), with flattery and sweet promises and stood his ground, much to the fury of Queen Elizabeth I (1533-1603). It is said that the Queen herself coined the term 'blarney' to describe the worthlessness of McCarthy's promises. The Blarney Stone in Ireland has been named as the most 'unhygienic' tourist attraction in the world. It beat off opposition from a wall plastered with thousands of pieces of discarded chewing gum in the US to take first place in the bizarre awards ceremony. Organisers said the Blarney Stone, kissed by up to 400,000 people a year, rates as the most germ-filled of attractions - although it admitted it had no scientific evidence to back its case. Local legend has it that visitors who bend over backwards to kiss the stone built into Blarney Castle, near Cork, Ireland, are rewarded with the 'gift of the gab'. But internet travel website TripAdvisor.com believes those who kiss the stone are likely to end up with something else other than fluent speech as it is so germ ridden. A wall outside a theatre in Seattle, Washington, was placed runner-up in the competition. Since 1990, tens of thousands of people have stuck their unwanted chewing gum to the wall turning it into a tourist attraction. The disgusting act began with people waiting in line to visit the theatre. The wall has been scrapped clean twice since 1990 but is still covered with gum. Some visitors have even moulded shapes and faces out of their gum. 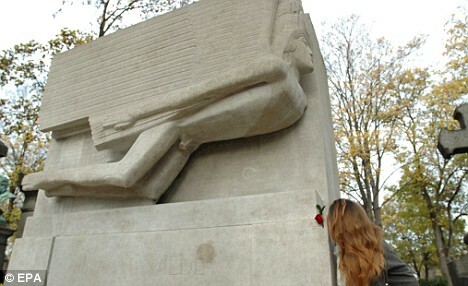 Oscar Wilde's tomb in Paris is the third dirtiest attraction having been covered with lipstick prints. St Marks Square in Venice, Italy, is fourth due to the thousands of hungry pigeons who descend on the place leaving behind their waste. The handprints and footprints of stars outside Grauman's Chinese Theatre in Hollywood makes the top five. According to Tripadvisor the historical Hollywood landmark is covered with grime from the hands of countless visitors who see if their hands and feet match those of the stars. Been there, seen it, didn't do it.